You’ve heard the bad news. You’ve read the reports. Churches are shrinking and aging, and young people are walking away. There is no denying this reality. Furthermore, most churches that close their doors rarely fold all at once. They fade slowly as the years go by, often quietly losing momentum and vitality. Until one day they are completely empty. Their road to irrelevance is not paved with a single big error, but a persistent refusal to change. A refusal to acknowledge reality. In the midst of many churches closing their doors, there are bright spot churches that are thriving with young people. In our research, we discovered hundreds of churches with 6 core commitments in common that keep teenagers and young adults coming back for more. Your church can grow young, too. And it’s not about changing your mission or your deepest hope for your congregation. In fact, when you start growing young, you will likely find your church becoming what you’ve always dreamed it could be. The most effective kind of leadership starts by choosing to recognize reality. Before deciding where your church will go in the future, it focuses on understanding exactly where you are now. So what if you could take a snapshot of your congregation and better understand the nuances of your unique culture? What if you could shed light on how well you are currently positioned to engage young people? No more guessing or simply hoping you’re focusing your church’s energy in the right places. 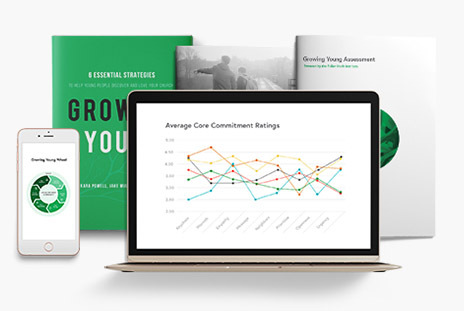 Based on the 6 core commitments discovered in our Growing Young research, the Assessment will highlight both strengths and growth areas based on data collected from you, your team, or your entire congregation. When you purchase the Assessment as an Individual, a Team, or a Church, you will be provided with a 60-question confidential survey. As a Team or Church, this survey will be made available to others on your team or in your congregation to participate. Once complete, we instantly generate a 30-page downloadable report detailing participants’ responses. Data is broken down by core commitment and demographics to help you understand the various perspectives in your church. The report includes recommended next steps, exercises, and ideas you can implement right away to help your church move toward more effective ministry with young people. What is Growing Young and what is the research behind this assessment? Growing Young started as an academic research study, originally called the Churches Engaging Young People (CEYP) project. 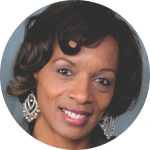 CEYP was designed to examine churches across the United States that were effectively engaging young people. 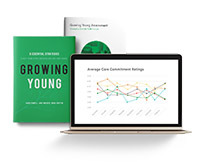 The project included three stages of research and utilized a variety of methodologies that helped identify the six core commitments discussed in Growing Young. 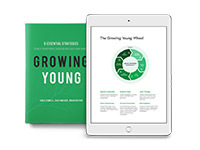 Discover more about the book, the research, and other resources on the Growing Young homepage. Upon completing initial research for Growing Young, the Fuller Youth Institute began to develop an assessment tool that could help churches measure the six core commitments within their context. In order to build this assessment, the Fuller Youth Institute began a new research project that used social scientific research methodologies, which are detailed below. During the first stage of developing the assessment, definitions of the six core commitments were taken from Growing Young research. Researchers at the Fuller Youth Institute then conducted a literature review to examine other concepts and theories related to each of the core commitments. Information gathered during this review helped further clarify and refine these definitions. Next, an initial pool of assessment questions was generated and the format for the assessment (e.g., type of questions, scale) was drafted. Each question was written with previously drafted definitions in mind. Multiple questions were drafted for each commitment (144 in total). These questions were then reviewed by experts in the fields of youth ministry and scale development. Questions were edited based on feedback from the advisors. Two focus groups, which included high school students and emerging adults, then tested the assessment. After further refinement based on feedback from the focus groups, 98 questions were used for the next stage of validation. These questions were then sent to congregants from 18 different churches across the United States. A total of 2,168 participants completed the assessment. Participants ranged in age from 18 to 95. The sample was then randomly split in half. An exploratory factor analysis was used to identify latent factors present within the first half of the sample. The exploratory factor analysis helped identify questions that did and did not relate well to one another. Questions that did not fit well within these latent factors were removed. A total of 56 questions remained. A confirmatory factor analysis was then used to confirm this factor structure within the second half of the sample. Model fit indices suggested acceptable model fit. Can a church of any size purchase and implement the Assessment? Yes! Our assessment tool can be used by churches of any size. What if I am part of a multi-site church? Please click here to contact our team about our custom options for a multi-site church. Who’s going to see the Assessment results? As the administrator of a Team or Church Assessment, you will receive a detailed report of aggregate results. You may share this report with anyone you wish. When you purchase the Individual Assessment, only you will receive your results. If you as an individual participate in a Team or Church Assessment, no one will be able to view your personal responses. Your personal response is completely confidential. How many people from my congregation should take the assessment? Your Church Assessment package includes the ability to survey your entire congregation, and you are encouraged to invite the entire congregation to participate. If your church has fewer than 500 regular attenders, we suggest a minimum of 25-50% of your congregation complete the assessment. If your congregation has more than 500 regular attenders, a minimum of 10-25% is sufficient. It is also important to be mindful of the demographics of the people completing the assessment. If only males over 60 or females under 25 complete the assessment, results for your church will be skewed. For this reason, please be mindful of the age, gender, and role of those completing the assessment. How do I get people in my congregation to participate? When you purchase the Church Assessment, you will receive supporting materials including a Church Invitation Video, tips for implementation, free templates for bulletins and slides, and a detailed execution timeline. How long will it take for a participant to complete the survey? We anticipate that most participants will complete the survey in 5-10 minutes. How long will it take from purchasing the Church Assessment to getting our results? It depends. Once the assessment is purchased, you must take time to plan the campaign, communicate with leaders in your church, and then gather responses from your congregation. Many churches allow for at least 2 weeks for participants to take the survey. The more data points, the better. Once you close the survey, your results will be generated and sent to you immediately via email. What are the supported devices and versions? 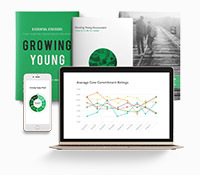 The Growing Young Assessment can be taken on a smartphone, tablet, or personal computer. Can we take this in a language other than English? At this moment, only English surveys are available. However, if your church would like to take the assessment in a different language, please let us know by filling out this form. Your interest will help us determine the need for translated Assessments in the future. Are there age restrictions for participation? 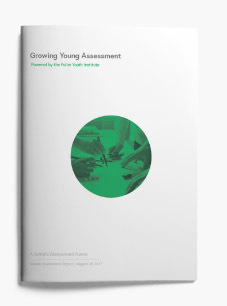 The Growing Young Assessment was designed for ages 14 and up. For minors participating in this assessment, we recommend first receiving parental consent and relying on your church's appropriate policies surrounding similar types of participation. Is this available to churches outside the United States? Yes! Any church may purchase and use the Assessment, as it is delivered entirely digitally. However, please note that our research was conducted with churches in the United States. Read more about our research methodology here. What other support will be available to my church? When you purchase the Church Assessment, you will receive a suite of tools including videos, guides, and checklists to help with implementation. The Church Assessment also comes with a free coaching call once the Assessment is completed. Additional training opportunities will be available to you through the Fuller Youth Institute should you choose to take a next step toward growing young. Can I personalize the welcome, thank you and email communications in other languages? Yes! all those can be personalized in any language that uses the Latin Alphabet.